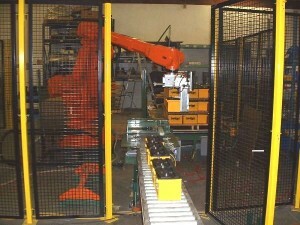 The Battery Palletizer is used in the production of automotive sized lead-acid batteries. 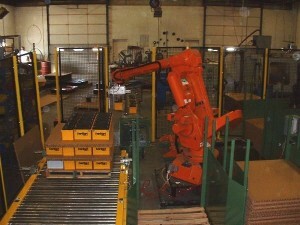 It is designed to place everything from the batteries to the pallet on a conveyor. It can handle a wide variety of battery types, and can easliy be programmed to handle more. To see our Battery Palletizer Videos please click here to request a private link.